Sandez Family Chiropractic & Wellness Center is proud to serve our patients in Cary, Morrisville and throughout the Raleigh – Durham “Research Triangle” area of North Carolina. In our time in practice, we have worked with a large number of satisfied patients who look to us for comprehensive, natural chiropractic services, such as Specialized Chiropractic Adjustments, Pregnancy & Pediatric Care, Electric Muscle Stimulation, Auto Accident Treatments, and guidance in Therapeutic Exercise. We are located virtually on the border of Cary and Morrisville and enjoy serving patients who work and live in both communities, as well as the general Triangle NC region. Our offices, near the intersection of Evans Road and Cary Parkway, are a short drive from major highways such as I-40, Route 540, NC-54 and NC-55, and conveniently located near leading Cary and Morrisville roadways, including Cary Parkway, Chapel Hill Road, Harrison Avenue, Morrisville Parkway, Aviation Parkway, Maynard Road and Davis Drive. This close proximity allows us to provide prompt service to residents and employees in Triangle communities such as Raleigh, Cary, Morrisville, Research Triangle Park, Chapel Hill, Durham, Holly Springs, Apex, North Raleigh, Fuquay Varina and Wake Forest. 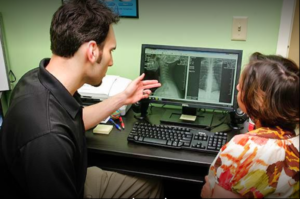 For expert, dependable care, please contact Sandez Chiropractic by filling out Our Online Appointment Form to the right, or by calling 919-535-3091. No referral is necessary and we accept same day appointments. Most insurance claims are accepted and we’ll even file the paperwork for you!